Linus Holding Corp. v. Mark Line Industries, Inc., et al., United States District Court, District of New Jersey, Civil Case No. : 17-3694 (FLW). Representing defendant in suit to recover alleged fraudulent transfers by arguing alter ego theories. Case is currently pending in the Trenton vicinage. Palisades Park Plaza, LLC, United States Bankruptcy Court, District of New Jersey, Civil Case No. : 15-32649-SLM. Represented successful foreclosure bidder in a Chapter 11 case involving a multi-million dollar commercial property in Palisades Park, New Jersey. Our client purchased the property for $6.4 million at a sheriff's sale conducted by the Bergen County Sheriff. After the sale, the debtor, a limited liability company, attempted to pay off the mortgage judgment by presenting approximately $6.5 million in certified funds to the Sheriff. The debtor failed to obtain bankruptcy court approval to borrow the $6.5 million, however. After a contested hearing, the bankruptcy court rejected the unauthorized loan transaction, and granted our client relief from the automatic stay of the Bankruptcy Code to complete the foreclosure sale. Thereafter, over the property owner's objection, the Superior Court of New Jersey confirmed the sale and directed the Bergen County Sheriff to issue the property deed to our client. AB Pamario Dvaras vs. DKP Wood Railings & Stairs, Inc., et al., United States District Court, District of New Jersey, Civil Case No. : 14-04495. Served as local counsel for defendants in a lawsuit alleging fraud under New Jersey Consumer Fraud Act, and violations of the Rackateer Influenced Corruptions Act (RICO). Successfully moved to dismiss plaintiff's Complaint for failure to state a claim, lack of standing, and lack of subject matter jurisdiction. Geissenberger vs. Bidsauce Corporation, et al., United States District Court, District of New Jersey, Civil Case No. : 13-03058. Represented plaintiffs in an action brought against an online bidding retailer alleging fraud for failure to deliver winning merchandise. Following the denial of defendants' motion to dismiss the Complaint, the case settled for a confidential amount. Shinhan Art Materials vs. Song, et al., United States District Court, District of New Jersey, Civil Case No. : 12-03951. Successfully represented plaintiff in an action to confirm/enforce a foreign country arbitration award entered in the Republic of Korea. Maximum Human Performance vs. Sigma-Tau Healthscience, LLC, United States District Court, District of New Jersey, Civil Case No. : 12-cv-6526. Acted as local counsel fo New York law firm and defendant in a suit alleging breach of warranty and other claims pertaining to liquid energy drink supplement. Case settled before trial. Topcon Medical Systems vs. Tracey Technologies Corp., United States District Court, District of New Jersey, Case No. : 16-00500. Reprented plaintiff in an action to recover an unpaid debt for medical equipment devices. Case settled before trial. VCOM Int'l Multimedia Corp. et al. vs. Gluck, et al., United States District Court, District of New Jersey, Case No. : 14-03398. Representing plaintiffs in an action against a former employee accused of engaging in wrongful conduct by misappropiating a competing website domain while employed by the plaintiffs. Defendants dispute the allegations. Matter remains pending in District Court. Represented defendant in a suit brought by a Chapter 7 bankruptcy trustee alleging fraudulent transfer of real estate. Case settled prior to rrial. Represented project developer in multi-million dollar claim brought by Chapter 7 bankruptcy trustee alleging fraudulent transfers. Case settled before trial. Represented purchase money secured lender in Chapter 11 case. Successfully scured full payment for client's lien on industrial equipment. Represented materials supplier in action to declare debt non-dischargeable in bankruptcy due to debtor's fraud. Case settled at mediation before trial for $250,000 non-dischargeable judgment. Represented judgment creditor in Chapter 13 bankruptcy case. Successfully caused bankruptcy case to be dismissed as a bad faith filing due to debtors' failure to disclose substantial annuity from prior personal injury award, paving the way for our clients to recover the full amount of their judgments in a subsequent state court action. 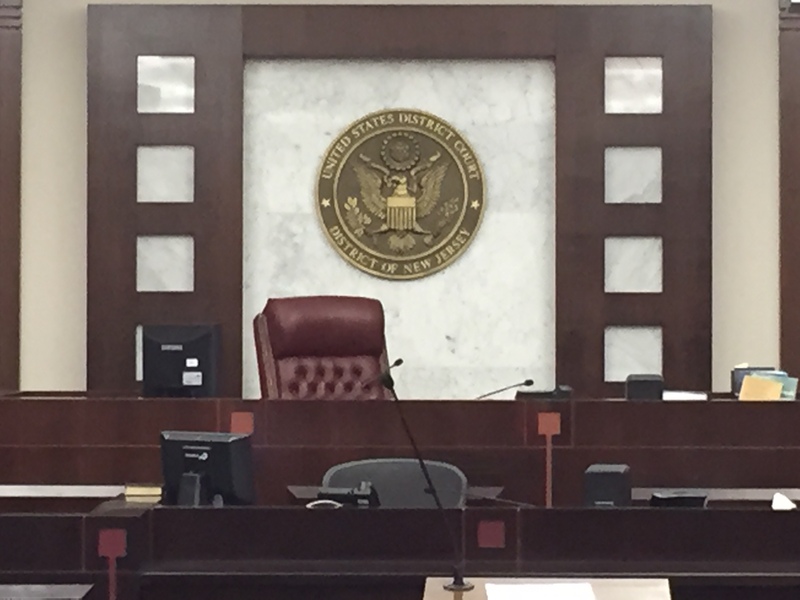 Contact us today to discuss your New Jersey district court or bankruptcy court case.